It has been a long-mooted conversation between the two. This article will not be the fuel to the fire but rather the effort is to cherish the experiences bestowed on us by these two sources of entertainment. One is about the magic of the static words and the other drive us with its motion pictures. The foundation for both sources is the art of storytelling. I believe a book or a movie excels in its form when its audience takes a part of it with themselves. Many books have been turned into great cinematic works. Some ruled on the box office while others strive to mark their mere presence. Let’s just walk in the shoes of the book lovers and the movie lovers to know each of them in a better way. The best part of books is that they do not hold on to the rein of your imagination. When a reader reads a book, he not only sees the world through the author’s perspective but also adds on his imagination and understanding of the words while comprehending the story. While reading these lines, my mind was painting a picture as soon as it sees a word. The reader can picture a girl sitting, the color of the sky, the sea, and the flowing hairs, which somehow helps in building an emotional connection with the story. The reader may not be able to see the emotions on the face of the protagonist but surely can feel the emotions of the protagonist. This emotional phase hits hard on the reader and takes a long time to swim through the narrated phase. You live with the character, laugh with them, cry on their loss, and feel angry when they do something nonsensical but in the end, you like to be with them. They become your friends over the days when you keep on turning the pages where their lives are imprinted. A book lover invades into the mind of the protagonist and sees what the character is seeing. 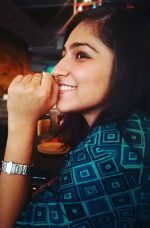 The colorful costumes, screams of the dialogue, a sound of the ambiance and vivid expressions of the character are the elements that make a movie more likable. The spectators can feel what they see. Those black words on the ivory sheets are real and lively on the 72 mm screen. The words now have sound, expressions and movements. The words are living their lives not just inside the head of the spectator but are also evident to many. On the big screen when the protagonist cries, it makes you sob seeing their teardrops. The pool of blood is hurtful to you also and the echo of their joyous laugh make you feel elated. No matter what you are doing you find yourself immersed in the scene for that particular moment. Usually, filmmakers get their story plots inspired by the book and make visuals, interpreted as per the director’s lens. The director holds on your finger and takes you to the places where he wants you to go, restricting the imagination of your own. 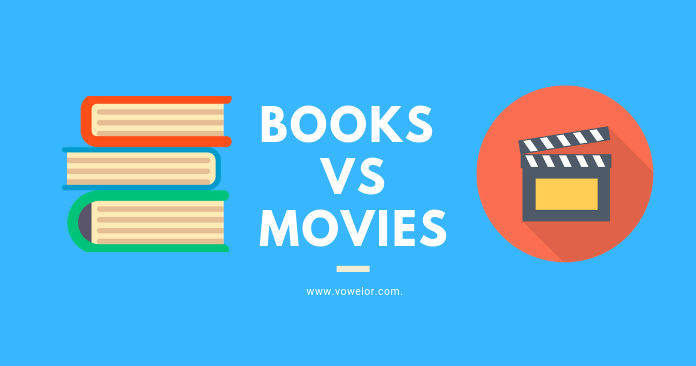 The Battle: The Better Entertainment, Books or Movies? A book lover claims that movies are very different from their adapted books. 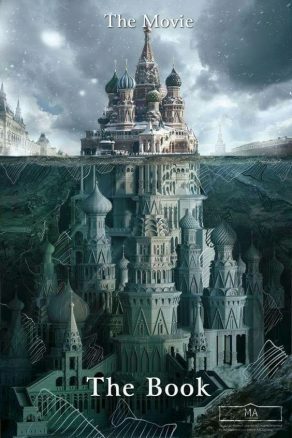 They miss on the details of the books and eventually the story loses its essence. They say that books stay longer in the hearts of the reader than a movie. In contradiction to this, movie lovers scream about the visual experience and the lively nature of the movies. Nevertheless, there are many books adapted by the movies to which audiences have poured their love and they have been a massive hit in both the entertainment forms. Hollywood movies like Fault in our stars, The Notebook, Shawshank Redemption, Harry Potter and many more have been the successful movies based on the books. Bollywood has also been the part of this tradition of making movies from the best novels like 3 Idiots, Kai Po Che, 2 States and other hits. It’s hard to draw any conclusion of, which source of entertainment is better than the other. As they both, have their own essence and are individual coins. The pleasure of reading is incomparable to the satisfaction of the motion pictures. 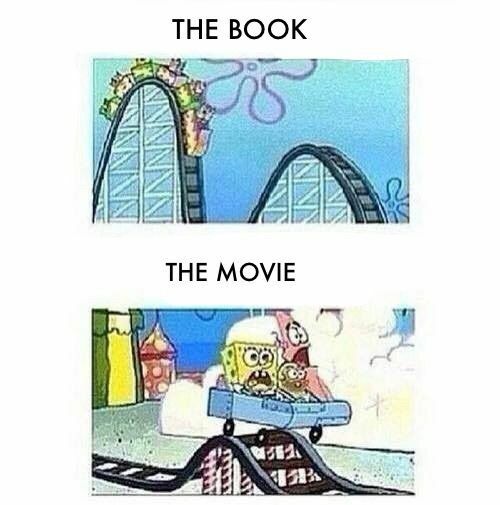 A book is more than it’s mere words and sentences and a movie is more than the motions and visuals. It is all about the ideas and the way it is made comprehensible to its audience. Final Words – Which is better Books or movies? In the end, if you are still looking for a concrete answer then as a book lover, I think that the frames in the movies can simply not be as descriptive as those 500 pages. All the book lovers out there are still looking for that one perfect movie adapted from the novel which gives them goosebumps as the book did.